Street kids refuge: Now you see it, now you don’t. There is not much more left than that, in terms of actual commitment, of an ambitious project the town council had proposed, unanimously, just two weeks ago. Last night the council did an about-turn and marched away from setting up a refuge for street kids who most nights are rampaging at will, stealing and vandalising. Most importantly, the eight councillors had thought the kids, some as young as eight, are at extreme risk and needed help. 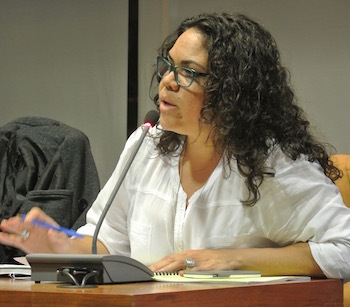 At the meeting of the council committee on July 11 all eight councillors had put up their hands for an extension of its Youth Patrol program which gives street kids lifts home. Last night, at the full council meeting that could have ratified the shelter project, it was whittled down to the council mentoring, facilitating and supporting, but not “owning” the initiative. 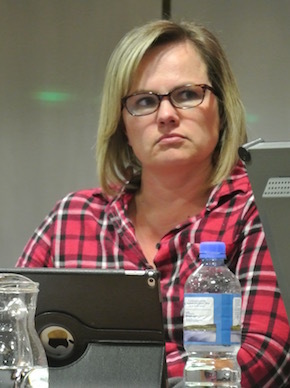 Councillors said it should be the responsibility of the NT Government and NGOs all of which, just two weeks, ago were considered by the councillors to be making a hash of it. That was an astonishing admission given that much of the meeting was about to discuss what to do with these kids. So far as the NT Government is concerned, a partner in the Youth Patrol project, Chief Minister Adam Giles had told the News he had no objection to the disclosure of the number of kids being transported by the Youth Patrol. Locals have been wondering for years about the number of young people in the streets at night. The Central Australian Aboriginal Congress, the third partner in Youth Patrol, didn’t even bother to respond to enquiries by the News. The council has that information: It is meticulously collected by its Youth Patrol team. CEO Rex Mooney last night told the News he may be able to give us the details tomorrow, but made no commitment. Last night the back-pedalling unfolded at a breathtaking speed, beginning with Cr Chancey Peach (below right): “The road to hell is paved with good intentions,” he said. That was claimed several times during the meeting but without substantiation. It appears at odds with the practice of protective custody into which police take hundreds of adults each year. They are clearly less vulnerable than pre-teens in the streets at two o’clock in the morning. Cr Paech said there are existing services that have a proven record with youth issues. Council money would be better spent in other areas. Diversion schemes are better than a “punitive” approach, he said. The scheme would erode the capacity of families who should be “front and centre in this”. 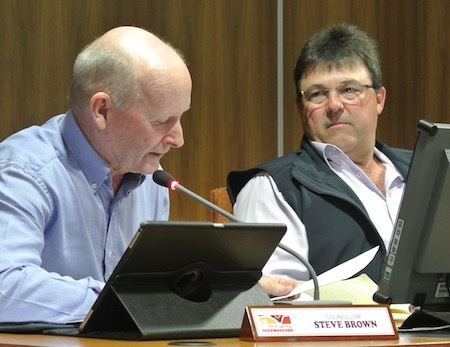 Cr Brown (below left, with Cr de Brenni) said the committee decision – enshrined in a minuted motion – had really been just a “hunting for ideas”. There had been lots of feedback and there had been a “wrong impression of what I said”. Contrary to the intentions expressed at the committee meeting Cr Brown said last night: “We cannot force children to do anything such as locking up or holding people in. On the other hand Cr Brown referred to the “Port Augusta solution” he had raised when campaigning for election to the council, which he said accepted that the council had a duty of care for kids at risk, but in the form of “non judgmental supervision and completely voluntarily”. Cr Brown said he was withdrawing what he now calls his “discussion point recommendation” and suggested a new plan to “engage” with the Chief Minister, Congress and any other bodies in after hour youth services. Mr Mooney told the meeting that government officials had in recent discussions expressed “reservations” about the initial plan, but they were prepared to discuss the issues, they asked for a detailed request, had always adopted a “push back” attitude to after hours initiatives which were being considered as having been “not overly successful”. The meeting was also told the police are not in favour of a safe house as proposed two weeks ago. 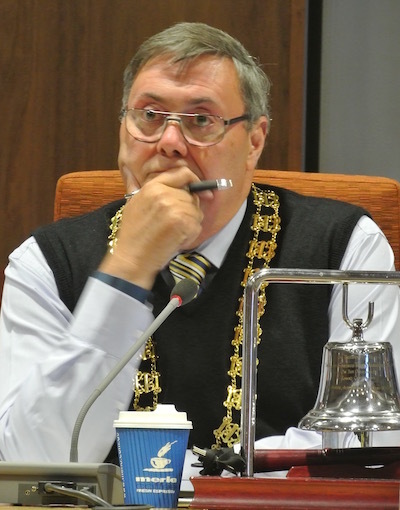 Deputy Mayor Jamie de Benni last night said the council should be “very pro-active,” should mentor and facilitate initiatives but not “own” them. Mayor Ryan said he had concerns about the safe house recommendation but would support “exploratory work”. Cr Paech supported a “trial” involving the council, the Youth Centre and Congress. Cr Kudrenko said the new plans are “much better”. There should be “intensive case management and support for families. We need more preventative measures”. Many children are in the care of the department, she said. They had been taken from their families which had subjected them to trauma. Referring to the initial proposal she said the issue was “not a matter of entertaining them for the night. They just keep coming back”. Cr Kudrenko said previous recommendations had not been followed. A “wholistic effort” is needed. Cr Eli Melky (at right) said while the vote two weeks ago was unanimous, he encourages Cr Brown’s review, but it still wasn’t clear how the initiative would be funded and who would “own” it. Cr Brown, mentioning that he is the CLP candidate for Araluen in the August 27 Territory election, said it was all about “not seeing young children on the streets at night”. He had spoken to Mr Giles who “promised a review of how many children are in care”. Cr Brendan Heenan said he would like to see the council go further, canvassing a broader community support. He says the street kids are trapped in a revolving door situation. They could be encouraged to come to a safe house, “make it a fun night through education”. Did those good friends of Steve’s, the child abusers and their supporters in the CLP, warn him of the impending four corners story? Is that why he and his CLP mates on council started back pedalling from their original proposal? Steve, Jacinta etc, do you support child abuse? Do you accept that your friends in Darwin didn’t read the reports over the past few years including the one they commisioned themselves? Do you think it strange that your colleagues changed the law to allow the use of restraints after their use had been reported? Are you able to make a statement about your views on the atrocious behaviour that has been perpetrated on our communities children? Steve, I’ve seen you standing up smiling behind your Chief Minister. Do you back up his ideals e.g. when he said he’d be happy to break every UN convention if he was Minister for Corrections? That’s what he is now? Do you think that the man who allowed such injustices to happen while he was in charge of corrections (Elferink) is appropriate to be Minister for Justice? Do you think that the man who allowed such terrible things to happen to children who were supposedly under his care (Elferink again) is an appropriate person to be the Minister for Children and Families? What do you think of a government that allows these things to happen? Do you support it? Do you want to be part of it? Steve, if the kids on the street are Indigenous they are being criminalised. Kids I know innocently walking home at a reasonable hour have been put in paddy wagons and been threatened with Don Dale. They have been driven home and the threat repeated to their law abiding parents who are both employed. Regardless of their behaviour they are targeted. This behaviour by police breeds resentment and anger. Eventually people are pushed too far. Please let’s not get distracted. Council is not talking about criminalised children! That is a separate issue! We are talking about unsupervised children who hang about on our streets for all kinds of reasons. Children who are very obviously in danger of being criminalised, by virtue of the fact that they are on the streets. This makes Council discussions every bit as essential as is taking action on the issues relating to children in custody. We are trying to prevent “these kids” from becoming “those kids” and if we succeed, everybody wins. In the light of the Four Corners ABC program aired on Monday night, which focused on the incarceration of youth in an NT detention centre, the current “debate” on youth issues in Alice by councilors of the Alice Springs Town Council seems a tad bizarre. The matters raised on the program have brought immediate universal condemnation by the Australian public and Federal Government that is directed squarely at the NT Government. I have no doubt that the councilors who have initiated the debate at council level are well meaning in their endeavours. However, as the ABC program has clearly illustrated,issues relating to youth behaviour / detention in the NT requires an approach that has much professional planning behind it and is properly resourced. Prime Minister Turnbull is to be congratulated on his announcement, within hours after the airing of the chilling program, that a Royal Commission will be established. It’s such a vexed issue and the public isn’t served well if we don’t get explanations as to what is happening and what is within the Council’s power. I hope the report is a really good one. This is understandable when you consider the expense and expertise required to deal with vulnerable unsupervised kids. However, the one thing Council does have is the raw data – at least they should release that as a contribution to genuine discussion. It would be a concrete contribution and useful for the public to see what the true extent of the issues are. So the CLP partisans on council want the Territory government to partner them in looking after young people like they have been doing in the detention centres shown on Four Corners. Come on Jacinta, do you really want to side with the fossilised thinkers in council? The Giles government are guilty and they know it, guilty of child abuse and guilty of a cover up. If we are going to be fair dinkum, rehab needs to be fully funded for all those charged, and provided by someone who knows how to be a decent human being. To put comments contained in the article into context: This is what we were discussing, a very important first step in achieving the outcome spoken about in the first motion. In Keeping with the intentions of Councils Port Augusta Report and in reacting to expressed community concerns that no child should left unsupervised on our streets at night and that doing so clearly places the child and community in harm’s way and as such must be seen as a failing of the community’s duty of care to both the child and community. The intention of the motion is to address the issue of young children being on our streets at night: Presently council and its partners, Congress and the NT Government, offer a joint pickup service for these children. This service often sees young children who should be attending school the next day being taken home or to a safe location very late at night. The objective: To get these children off the streets at a much earlier time by providing a fun, safe, non-judgemental place of activities and community interaction all professionally supervised with food and beds provided for those in need. Those who have a home to go to would be transported home at a reasonable hour. Attendance at this centre or centres is to be completely voluntary! But just as in the case of Blue Light Discos once you’re in your in for the night, unless you are being picked up by a parent or guardian or being transported directly home by the pick up service. The Council engage with the existing partners and invite new partners to be part of the process of developing a night safe house that caters for children who are involved in the Youth Night Patrol. 1. The numbers of children who are likely to need or interact with a service if provided. 2. What services are available now. 4. That Council accepts the responsibility of being the facilitator in this process … or words to that effect. On the surface this may appear as backing away from the original intention. It is not! We cannot responsibly proceed further with that objective without first gathering the information requested in the report. This is the beginning of a process! 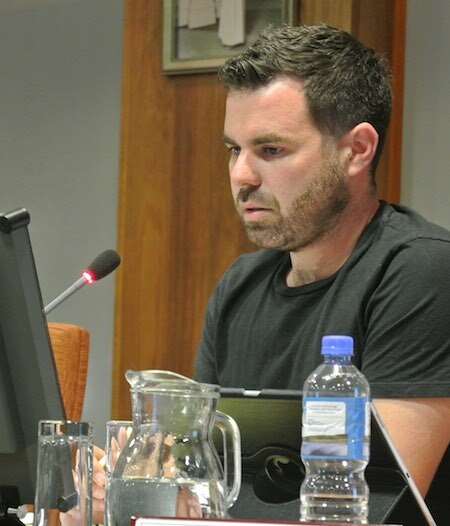 As the person who first raised in my view the glaring necessity to do something about the children on our streets as part of the Port Augusta Report, now some four years ago, and as the person who raised it once again on this occasion, I am mighty pleased that fellow Council members have finally agreed to take this first step. Clearly, whether or not the process is followed all the way to an outcome will also depend on the strength of fellow councillors’ convictions. It’s up to you, the public, to pressure them into doing so. For the moment we await the report with great anticipation.